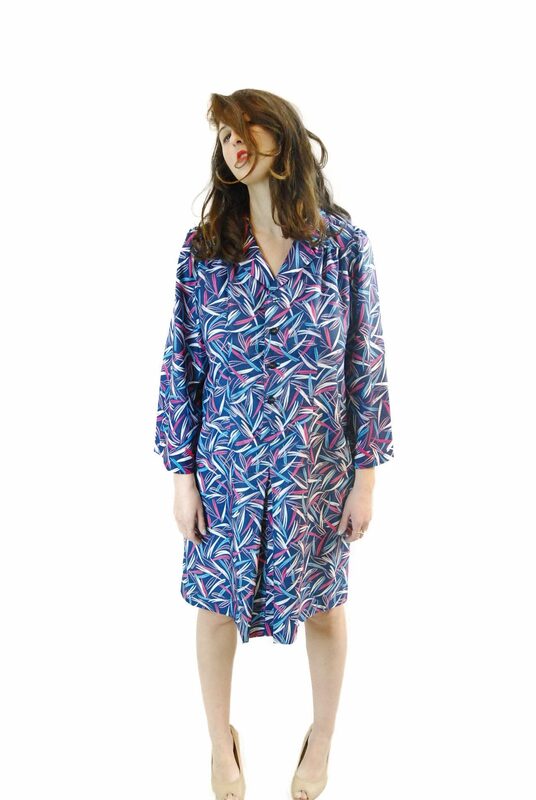 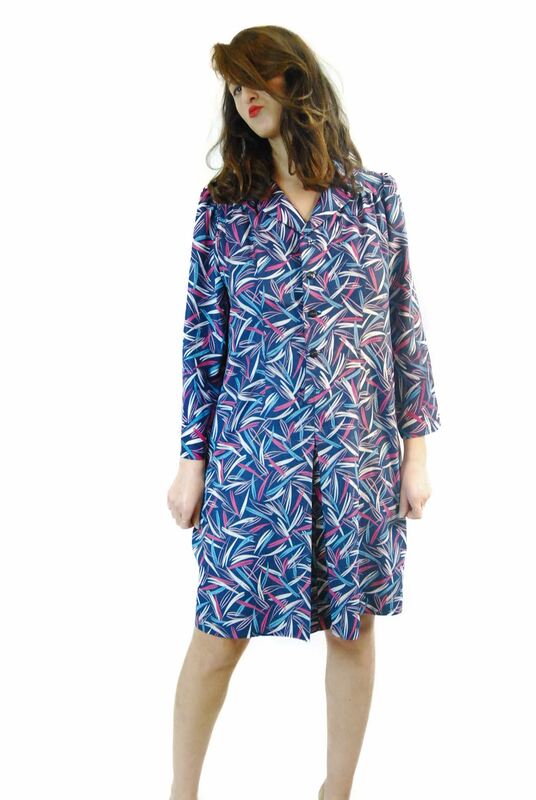 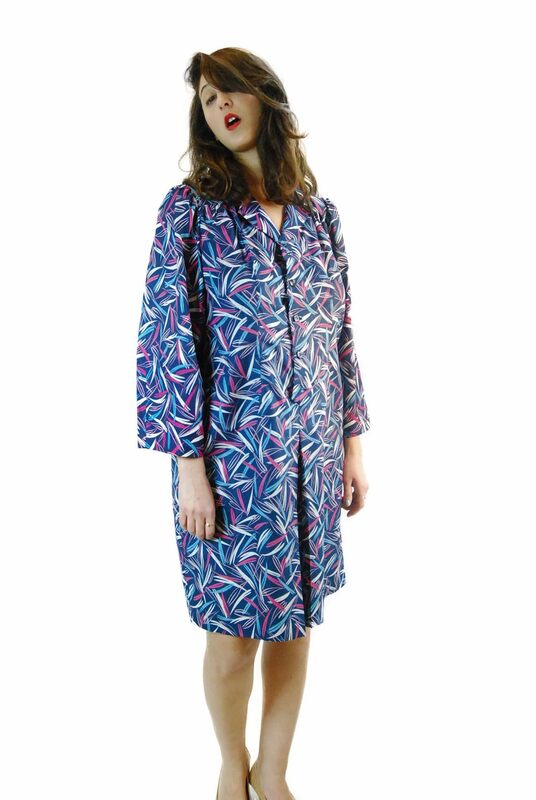 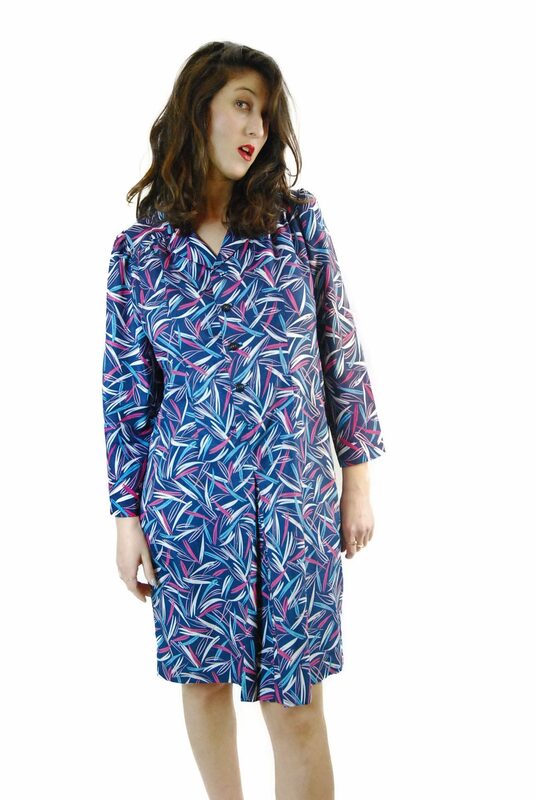 Vintage lounge wear dress from the 1970's in blue with a very busy pink, white and teal jungle leaf pattern and flowing design for optimal comfort. 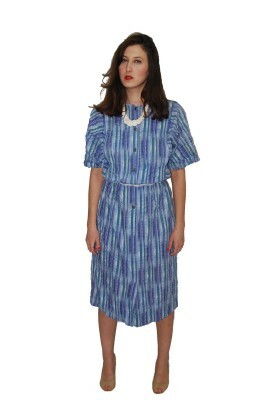 Availability: In Stock Categories: Sale, Vintage Dress, Size L, 1970s. 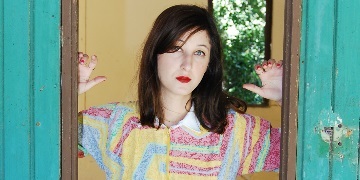 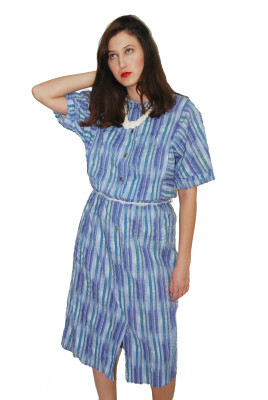 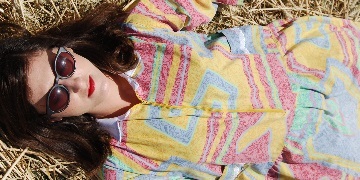 Tags: 1970 vintage dress Colorful printed with the shades of blue, 70'S, pink and white, Vintage Dress.